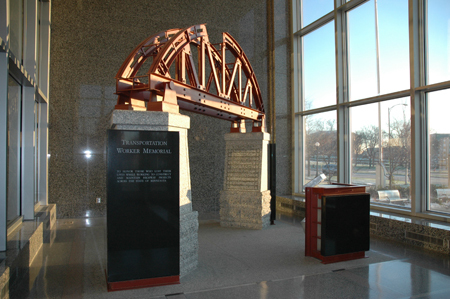 The Office of Construction and Innovative Contracting provides leadership, expertise, innovation and education to MnDOT's construction community through guidance, governance, research, and training so that safety and quality are maintained and policies and procedures are consistently followed, and service and efficiency improved. Org Chart - View how the Office of Construction and Innovative Contracting is organized. OCIC maintains liaison with MnDOT Districts, other MnDOT Divisions, State and Federal agencies, legislators, counties and municipalities, contractors, citizens and the Resident Offices. In general, a Resident Office ensures completion of construction contracts according to contract requirements, provides technical supervision for construction projects, coordinates the activities of public utilities, contractors, and other governmental agencies on construction projects, documents contract work progress for paying the contractors; informs property owners, news media, other governmental agencies, and the public of construction operations within the District; provides requested technical assistance to other governmental agencies on their construction projects and ensures all required traffic safety and control measures are taken in the construction areas.